Everything can be taught in more than one way – and everyone has multiple ways of thinking and learning. This theory of multiple intelligences, which Howard Gardner first introduced more than 30 years ago, has revolutionized the fields of education and psychology. However, Gardner has not rested on the laurels of multiple intelligences in his scholarly life. 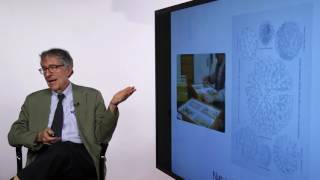 He has explored topics ranging from creativity to character, from learning to professions, from K-12 to higher education. 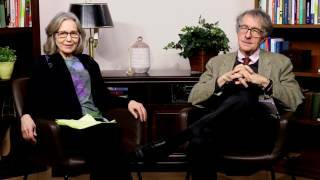 The John H. and Elisabeth A. Hobbs Professor of Cognition and Education at the Harvard Graduate School of Education, Gardner is a world-renowned psychologist. His 1983 book, “Frames of Mind: The Theory of Multiple Intelligences,” detailed a new model of human intelligence that went beyond the traditional view that there was a single kind that could be measured by standardized tests. He continues to build on his studies of intelligence, and has since authored several hundred articles and nearly 30 books, including “Leading Minds” (Basic Books, 2011), “Five Minds for the Future” (Harvard Business Review Press, 2009), “Changing Minds” (Harvard Business Review Press, 2006), “The Disciplined Mind” (Penguin, 2000), and his most recent, “The App Generation: How Today’s Youth Navigate Identity, Intimacy, and Imagination in a Digital World” (Yale University Press, 2013). Repeatedly recognized as one of 100 most influential public intellectuals in the world by Foreign Policy and Prospect magazines, Professor Gardner has earned numerous honors, including a MacArthur Prize Fellowship and John S. Guggenheim Memorial Foundation Fellowship, the Prince of Asturias Award for Social Sciences, and he was the first American to receive the University of Louisville’s Grawemeyer Award in Education. Most recently, Professor Gardner was named to the American Management Association’s Top 30 Leaders in Business of 2014 list. He has received honorary degrees from 29 colleges and universities, including institutions in Bulgaria, Canada, Chile, Greece, Ireland, Israel, Italy, South Korea, and Spain. Professor Gardner has also been elected a member of the American Academy of Arts and Sciences, American Philosophical Society, National Academy of Education, and the London-based Royal Society for the Encouragement of Arts, Manufactures and Commerce. He serves on a number of boards, including New York’s Museum of Modern Art. For more than two decades, Professor Gardner has collaborated to direct the GoodWork Project, now a component of the larger Good Project, a large-scale, non-profit effort to identify and study individuals and institutions that exemplify good work – work that is excellent in quality, socially and ethically. More recently, he has conducted reflection sessions designed to enhance the understanding and incidence of good work among young people, and is now also investigating ethical dimensions entailed in the use of the new digital media. Among Professor Gardner’s other new research undertakings are a study of effective collaboration among non-profit institutions in education; a study of conceptions of quality nationally and internationally in the contemporary era; and a major study of liberal arts and sciences in the 21st century. 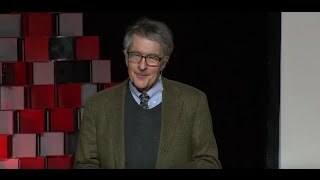 Howard Gardner is available for paid speaking engagements, including keynote addresses, speeches, panels, conference talks, and advisory/consulting services, through the exclusive representation of Stern Speakers, a division of Stern Strategy Group®. Is the 'App Mentality' Killing Students' Creativity? The Global Search for Education: United States and Finland - Why Are They So Great? The Global Search for Education: It's an App App App App World! Are Apps Becoming a Human Crutch? 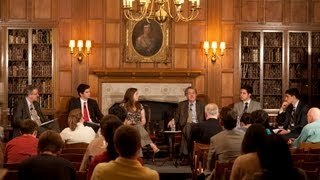 The Global Search for Education: What Is Good? What makes people successful? The common-sense answer is “wit” (how smart you are) and “grit” (how hard you work). 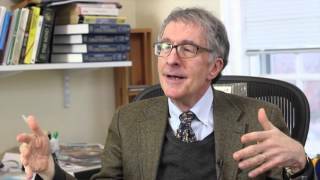 But the story is not so simple, says Dr. Howard Gardner. First, research on human cognition makes it clear that we have not one but many intelligences and ways of being “smart,” and so our concept of wit needs to be pluralized – “wits.” Second, while successful people do work hard in order to persevere, hard work can also be put to evil purposes; for example, Hitler’s army had plenty of grit. Therefore, we need to qualify grit as “good grit” that is marshaled toward positive ends for others and for society. 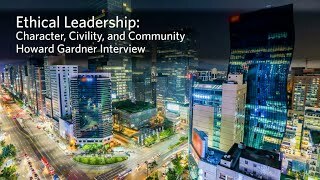 In this presentation, Gardner describes an education framework that makes positive use of our wits and our good grit, and provides concrete suggestions about how to move toward a society that is both wise and caring. For centuries, the world has depended on professions and professionals—ranging from doctors, lawyers and accountants, to teachers, social workers and architects. High-level professional work is more important than ever. 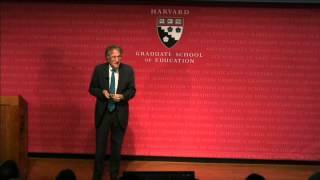 Yet the traditional professions, says Dr. Howard Gardner, are under enormous pressures. Among the disrupting factors are the tendency to label everything a profession; the likelihood that many, if not most, tasks traditionally carried out by professionals can now be carried out by intelligent machines; and the copious examples of unprofessional behavior by licensed professionals. Based on two decades of research, Gardner discusses each of these threats to professionalism and the future of work, how they should be responded to by leaders at all levels of an organization, and what it means to behave professionally and trustworthily in a post-professional world.